Donghua's Leaf Chain and Forklift Chain products are tried and tested for all the leading forklift truck brands and are in use across the UK. Donghua Limited now stamps CE Marking on all our leaf chain products sold across the EEA to reassure our customers that we take responsibility for the conformity of our product to applicable EC safety directives. We also issue a DEKRA certificate alongside our usual product test certificate. Click here to read the full story. BL Standard - Heavy duty range of Leaf Chain specifically designed for lifting applications, especially forklift trucks, loading platforms and counterweight systems. 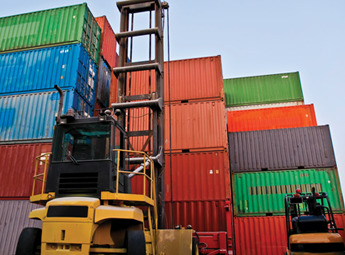 Common sizes used are BL534, BL634 and BL834. 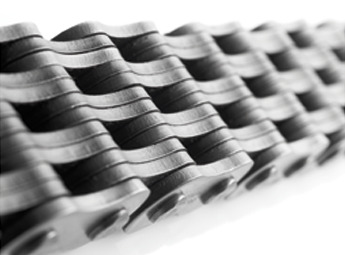 EL Standard - European standard leaf chain based on European Standard Roller Chain components. AL Standard - American standard leaf chain based on American Standard Roller Chain components. Individually Laced (FLC) - Older style chain more often used by UK based manufacturers for use in lifts and forklift trucks.The plates are in singles meaning the lacing combinations are different to standard chains i.e. 4x5, 5x6, 8x9 etc. Non-Standard Leaf Chain - Specialist leaf chain, including pipe wrench chain, to suit individual requirements. Leaf chain with plastic inserts is identified primarily by pitch rather than by a standard, as is the case with ordinary leaf chain. The addition of plastic inserts enables the unit to carry hydraulic hose and also provides added protection for the hydraulic RAM. This type of chain is most commonly used on Linde and Jungheinrich trucks. Click on a link below to view technical and / or promotional information. Not sure which Donghua Chain you need? Visit our Online Chain ID Tools to help you identify the right replacement chain and Request a Quote.